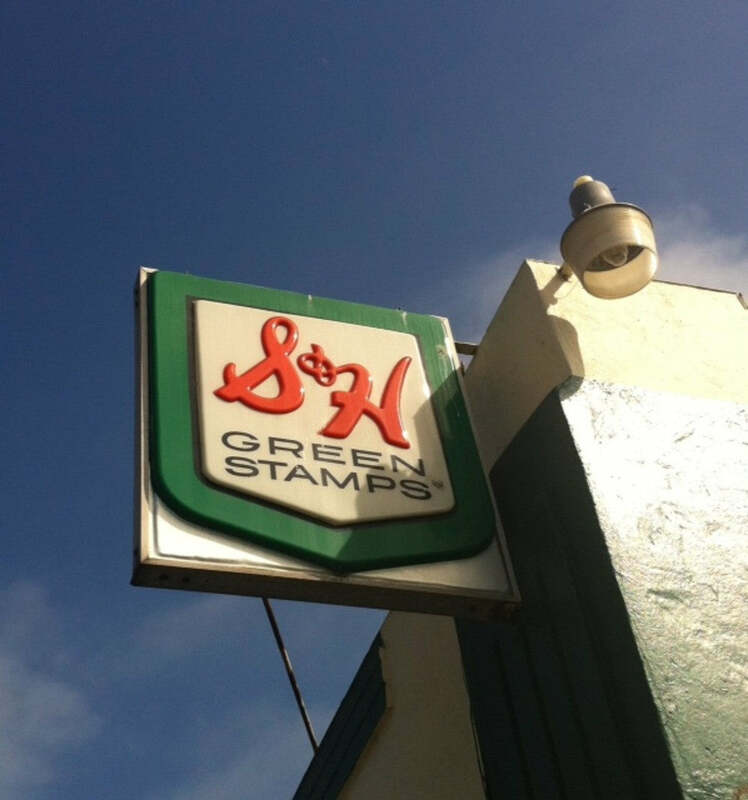 Happened upon this vintage S&H sign in Goleta, California last weekend and was reminded of a lost piece of 60s pop culture. 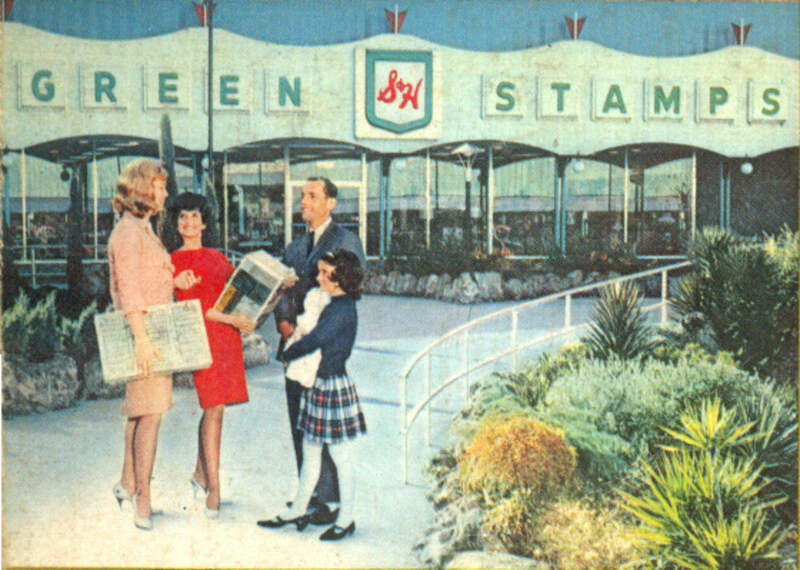 S&H Green Stamps are no longer with us, but in the 1960s their rewards catalog was the largest publication in the U.S. 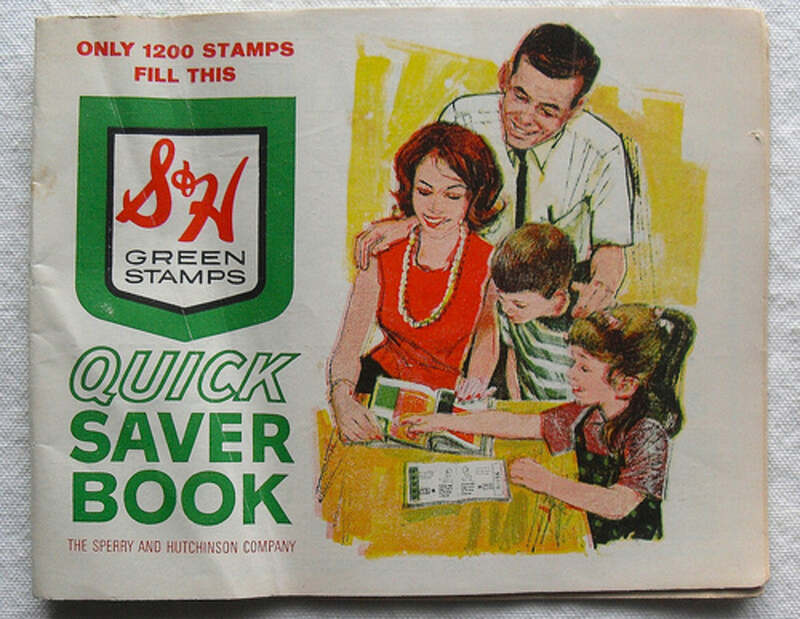 Shoppers would receive trading stamps at the checkout of grocery stores, department stores, gas stations and other participating merchants. 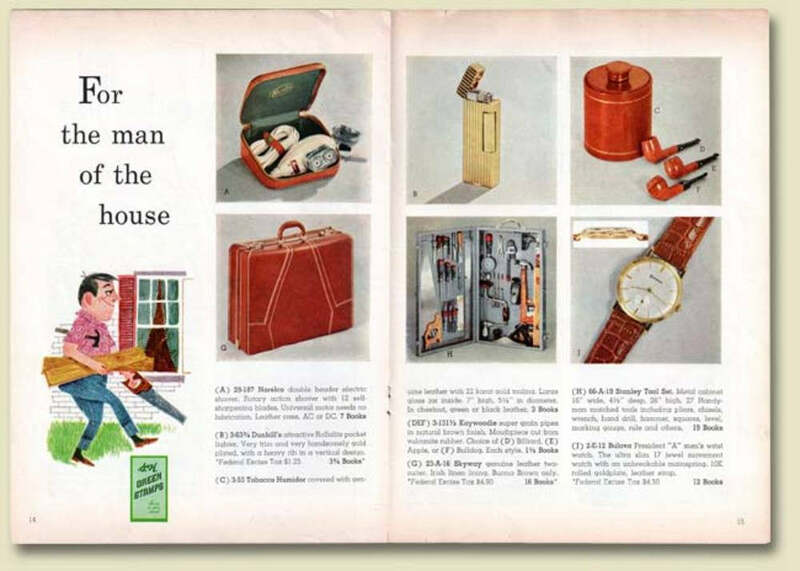 The collected stamps could then be redeemed for products in the catalog. 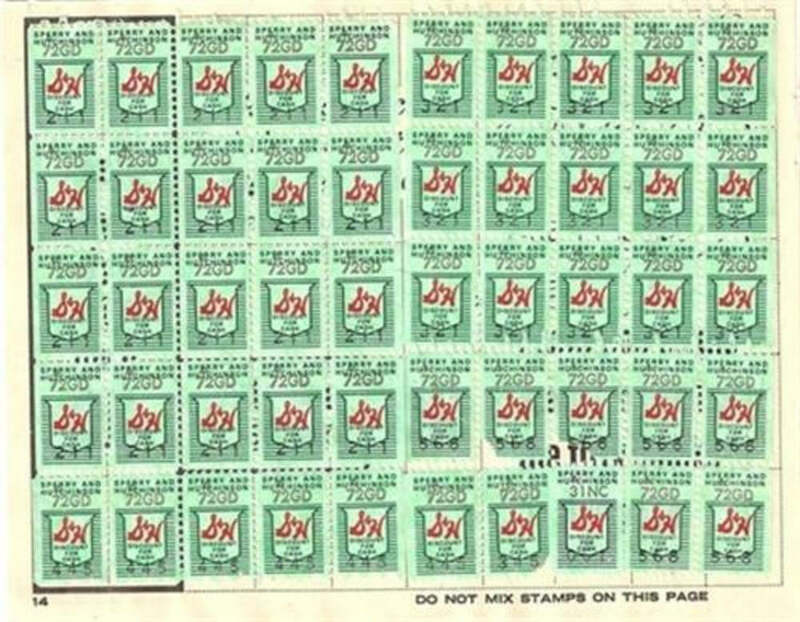 Amazingly, S&H issued three times as many stamps in the sixties as the U.S. Postal Service.